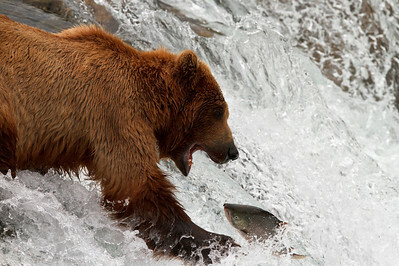 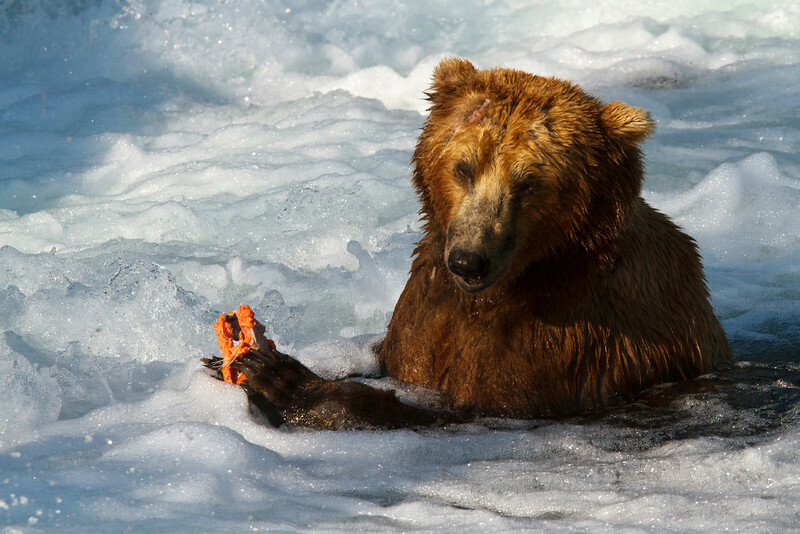 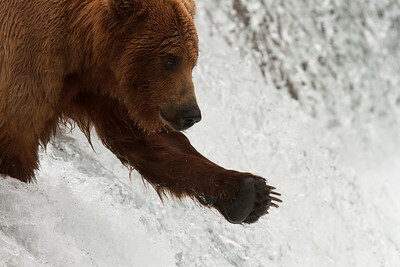 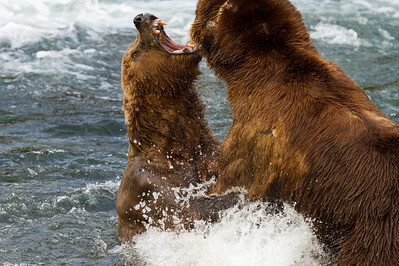 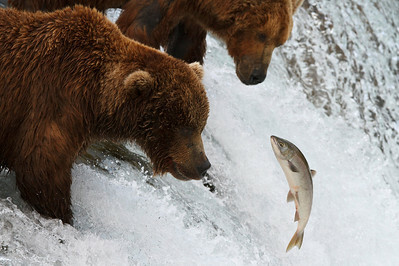 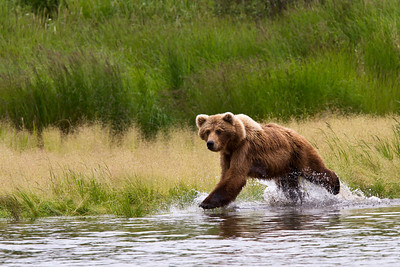 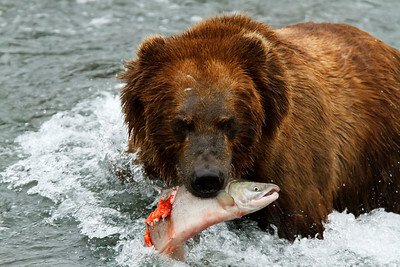 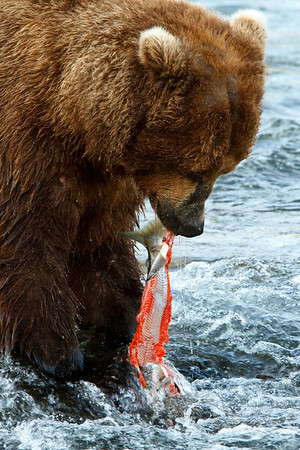 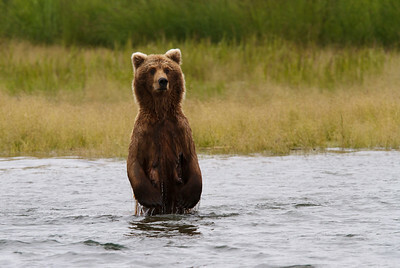 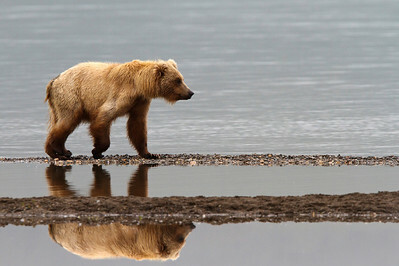 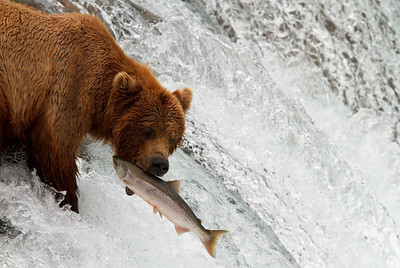 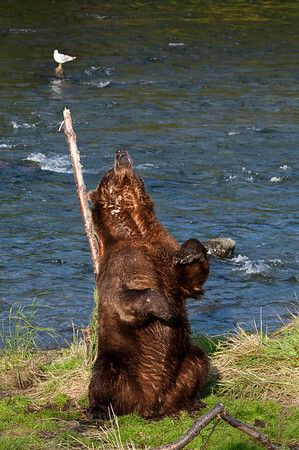 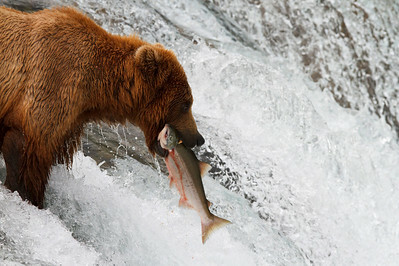 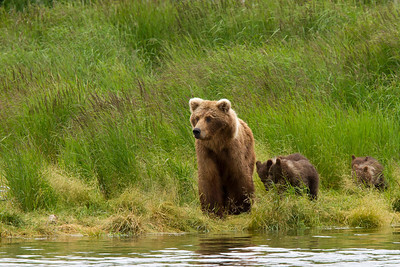 This brown bear was one of the most proficient at catching salmon. 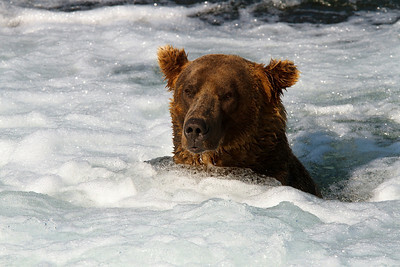 He would sit in the "jacuzzi" with his paws below the water. 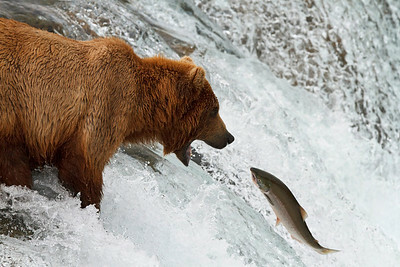 When a salmon would run into him, he'd trap it with his paws and reach down to get it, eating it right there at the base of the falls.